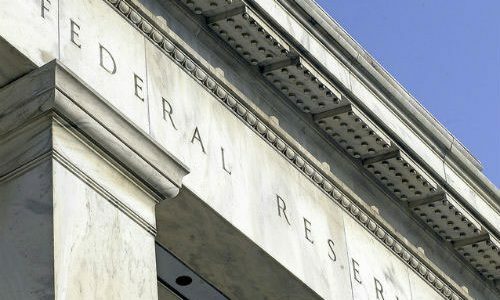 The nation’s central bank, the Federal Reserve, raised its benchmark interest rate at its December 19th meeting for the fifth consecutive quarter in 2018, to a range of 2.25-2.50%. Consumers who haven’t been paying attention to the role that the Fed plays in the U.S. economy may begin to feel the cumulative effect of five quarter-point interest rate hikes this year—and nine altogether since 2015—when they apply for their next loan. But lurking in the background is a subtler threat: inflation. Inflation, which measures how much prices have risen from a year ago, is currently low and stable at 1.9%, with projections inching up to 2.1% in 2019 and beyond. Inflation is a double-edged sword: for the Fed, even low and stable inflation hampers its ability to reduce borrowing costs, and for consumers, especially those in or near retirement, the increasing cost of goods and services raises financial anxiety and the threat of outliving their money. Business reporters can report on one of the following three smart strategies to help their older readers prepare for the impact of inflation. The concern of outliving your money is a very real one for retirees. How much will inflation cost you in 10, 20, 30 or more years? Invite a panel of readers to sit down with a financial planner or two to look at the numbers and make, or fine tune, their plans. Are they calculating enough for the impact of inflation? Use this calculator from the Consumer Price Index to jump start the conversation. That’s hard advice for investors to hear as we head in 2019. Projections in the new year call for stock market returns below the historical average. Investment banker Goldman Sachs projects a rate of return of 5% next year. But retirees who may live as long in retirement as they spent working need stocks for growth, and bonds for income to cushion during market downturns. Financial experts says the best mix is a 50-50 mix of stocks and bonds. Interview retirement planning experts such as David Blanchett, head of retirement research at Morningstar Investment Management. Interest rates are inching up, which is good news for older savers. Think about telling this story largely as a graphic, to reflect current choices, which include: online savings accounts, money market deposit accounts, money market funds, high-yield reward checking accounts, Treasury bills and notes, and Certificates of Deposit (CDs), with rates paying a healthy 2.00%-2.50% or higher. The website depositaccounts.com offers a searchable website on rates by zip code and state. Ask a local banker to walk you through the details, and a consumer advocate for their tips on helping older savers get the most aggressive rates possible. Talk with financial planners for their take on how much retirees at different income levels should squirrel away in cash.